Business Description: Zhanjiang Fengqi Plastic Product Co.,LTD. 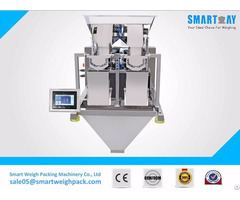 is a manufacturer which specializes in packing list envelopes, Tamper evident security bag.Our factory is located in Guangdong, the total area of our factory is 4,000 square meters. We have PE,PP film extruder, printing machine, converter, glue coating machine, laminated roll cutter, film cutter, and etc. We have a special QC project team, continue improve the quality of product. This ensures that we are able to provide the high quality and stable quality envelopes to our customers. We always carried "Quality if life of corporation, credIt'standing is soul of coporation , innovation is fundamentality of carvealt." More and more oversea clients are cooperating with FengQi, due to our high quality products and reliable after-service. Our factory will dedicate ourself to cooperate with our friends for "win-win" business.